Let's Talk Chicken! 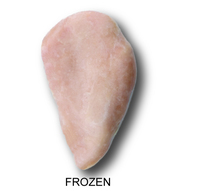 Our line of Wayne Farms prepared chicken products are scrumptiously innovative. Whether fully cooked or ready to cook our Wayne Farms products provide back-of-house and serving convenience for versatility. Consistently sized for portion control, they offer added value to a variety of preparation styles and can enhance your menu in any daypart. 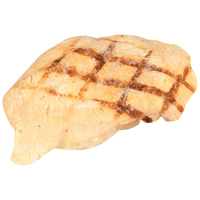 We will work with you to select the perfect prepared chicken choices for your operational needs. Grilled with asparagus and mashed potato accompaniment. Grilled and placed on a bun for a sandwich with a side of roasted potatoes. Seasoned, pan-seared and laid atop a bed of steamed rice and grilled vegetables. 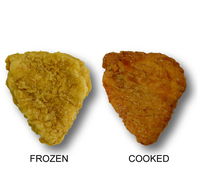 Keep frozen - ready to cook. Sanitize all surfaces contacted by raw poultry.